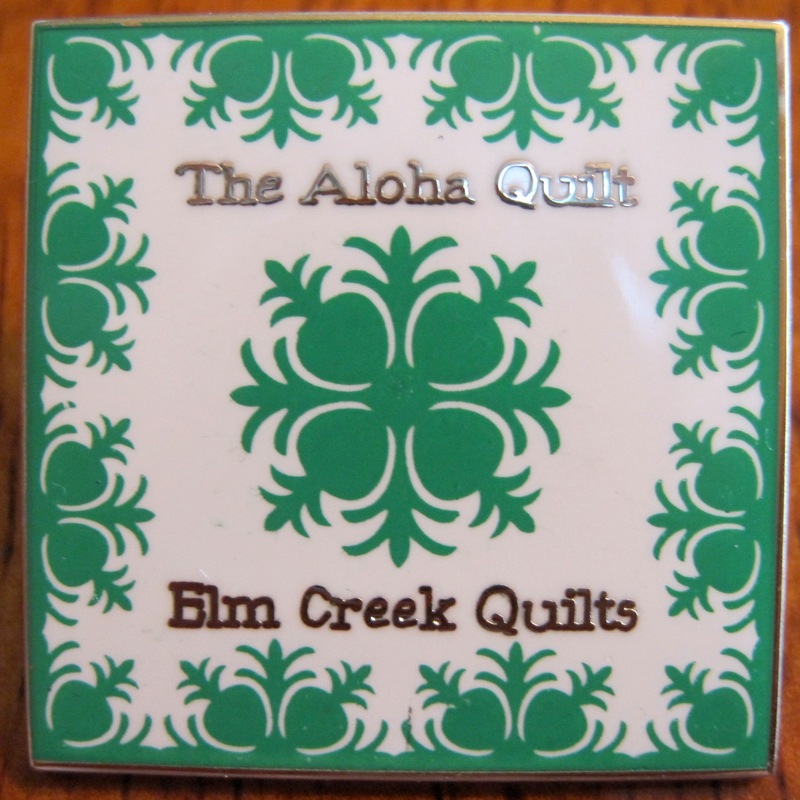 The pins I designed for A Quilter's Holiday were so well received that I decided to do create a new pin to celebrate my forthcoming Elm Creek Quilts novel, The Aloha Quilt! You can get one of these limited edition pins for yourself if you come see me on my book tour throughout April. I'll be visiting several of my favorite bookshops across the country and will give away a pin with each copy of The Aloha Quilt purchased at that store, while supplies last. For book tour locations, dates, and times, please see the Events page on my website. Can't make it one of my events? The wonderful booksellers at the Next Chapter Bookshop in Mequon are ready to help. If you pre-order The Aloha Quilt from the Next Chapter Bookshop website, they will include a The Aloha Quilt pin with your book when they ship it to you. I will autograph the books when I visit the store on April 9th, so all orders need to be placed before then. If you would like your book to be personalized, please be sure to indicate the name of the person to whom the book should be addressed.